With wind speeds reaching 124 miles per hour, Cyclone Idai has caused widespread devastation across a large swathe of Mozambique, Malawi and Zimbabwe and The Salvation Army is implementing emergency responses in each of the three countries. Local media reports suggest that 1,000 people have lost their lives in Mozambique alone. With roads flooded and the regional airport closed, 500,000 people have been cut off in Beira, one of Mozambique’s largest cities. Reports suggest that up to 90 percent of the region has been destroyed. The Salvation Army—working in partnership with the Red Cross and other agencies—is providing emergency food packages, including maize, rice, cooking oil and beans, to 500 of the most severely affected families in Beira. This will ensure that two nutritious meals per day are provided for at least 21 days, guarding against malnutrition and ensuring that children are able to continue attending school. 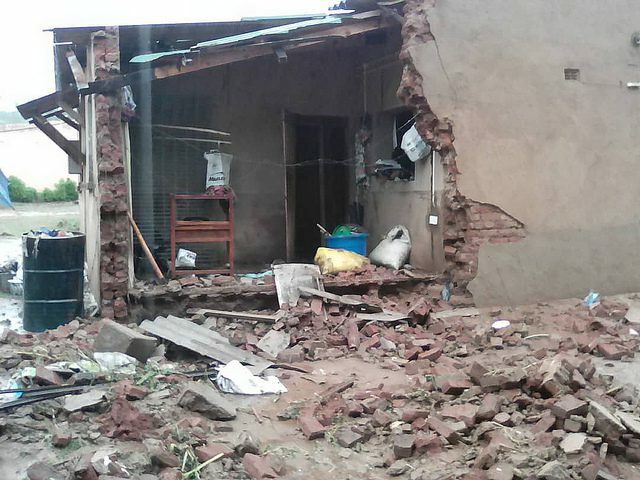 A state of emergency has been declared in Zimbabwe after homes and bridges were swept away, The Salvation Army is coordinating with the government and other agencies to provide assistance in stricken areas in the south and east. The initial aim is to provide an initial 167 households with vital supplies of food and other essential items such as blankets. An initial needs assessment is being undertaken by Salvation Army teams. Nearly 1 million people have been affected according to government estimates, with 56 deaths and 577 injuries recorded. More than 82,700 people are believed to be displaced, with the Chikawa district particularly badly affected. Communications links—including roads, electricity and mobile phone networks—remain significantly disrupted by the wind damage and subsequent flooding in many areas. Several rivers have burst their banks and access to clean drinking water has been impaired. Give to support The Salvation Army’s Africa Disaster Fund here.